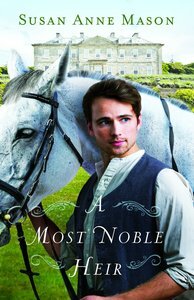 About "A Most Noble Heir"
Susan lives with her husband, two children and two cats in a suburb outside of Toronto, Ontario, Canada. In addition to writing, she works part-time as a church secretary. She is a member of American Christian Fiction Writers (ACFW) and Romance Writers of America (RWA). When not writing, Susan enjoys scrapbooking and researching her family ancestry on-line.